If haute cuisine is your favorite kind of luxury but you prefer eating in the comfort of your own home, someone has heard your prayers and that someone is the famous chef and genius behind The Slanted Door restaurant, Charles Phan. 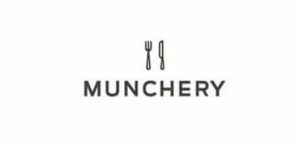 Since August 9, 2017, the sophisticated meals once only available at The Slanted Door can now also be found at Munchery, the much-praised San Francisco-based meal delivery service. Exclusive access to these coveted meals is granted to the residents of the San Francisco Bay Area. If you are one of the lucky people who have this rare privilege, you may want to learn more about Munchery and see the luxurious deliciousness waiting for you there. Or, you can stick around and find more information right here. The Slanted Door creations currently available at Munchery come in two shapes: meal kits and prepared meals. This may be great news for all those who have always wondered how The Slanted Door dishes are created, but also those who just want to bring The Slanted Door delights onto their tables without messing around the kitchen. The dishes are not too numerous, but you still get to enjoy long-time favorites like Claypot Chicken and Shaking Beef. The prices are quite similar to those at The Slanted Door, so if you were expecting a more affordable version, we hate to be the messengers, but that is not happening anytime soon. Quality comes with a high price tag, no matter where you choose to enjoy it. 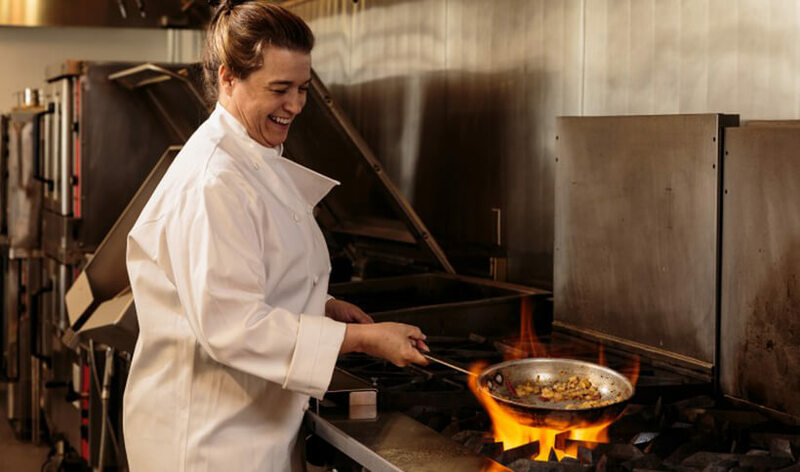 If you are wondering how come The Slanted Door chose Munchery to be the exclusive channel for sending its culinary wonders to San Francisco homes, the answer is pretty simple. 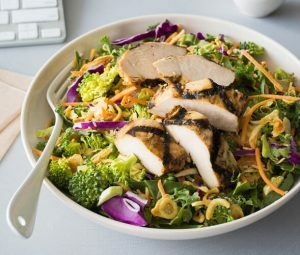 In the words of the president and CEO of Munchery, the famous restaurant and the well-known meal delivery service share the same vision, using only locally sourced, sustainably produced ingredients. Plus, with Munchery, there is nearly zero chance that your ready-made meal arrives cold or tumbled up. You get high-quality service every step of the way, from recipe creation and meal preparation to the convenient delivery to your doorstep. Unfortunately, but as expected, The Slanted Door staples are available at Munchery for a limited time only. So, now is the time to visit Munchery and take this amazing offer while it is still on the table. Before you go, we just want to let you know that if you order by August 25, 2017, you may be selected to attend a cocktail party and an exclusive cooking demo with none other than the legendary Charles Phan. We are slurping our Beef Pho as we speak – fingers crossed.